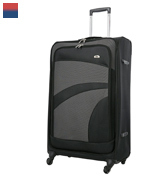 The model's smooth and silent wheels will allow you to carry the suitcase around with effortless ease and without the usual scratching accompaniment. A couple of packing straps will help you keep all of your belongings in place. The top and side carry handles offer some versatility in terms of carrying options. The model doesn't incorporate protective studs. We would recommend the model in question to the kind of customers who prefer a softer frame and an outer shell that can still carry its own weight and offer years of faithful service. You'll also be able to choose from any of the 6 available colours. The luggage incorporates the use of PVC, meaning you will receive all of the advantages of this material such as abrasion resistance and lightness. Speaking of the latter, it is thanks exactly to PVC that the model is capable of offering up to 42 litres of volume all while weighing in at less than one and a half kilograms. The trolley handle might be too short for taller people. 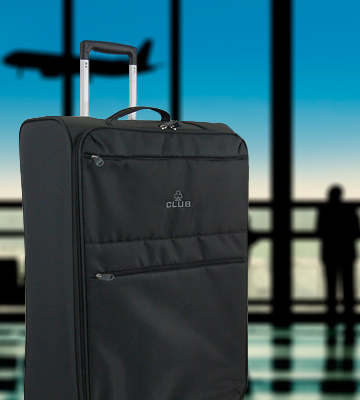 If you'd be interested in a model that combines the advantages of a proper luggage case with those of a bag, this small suitcase with wheels from 5 Cities is exactly the kind of option you should strongly consider. 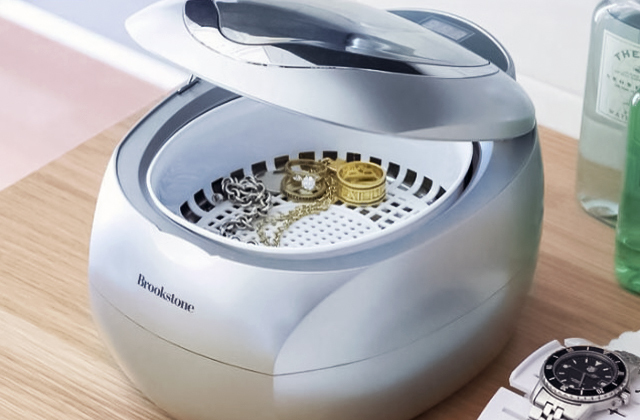 The product comes equipped with a 3-digit barrel padlock, meaning that no sketchy individual will be able to easily access your personal belongings. But if you do manage to lose it, an ID label located on the back of the frame will help the founder bring it back to you. The combination of black and grey stripes gives the model a subtle yet distinct appearance. The interior is lined with an easily soiled fabric. 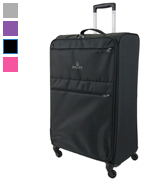 Aerolite Medium 26" Super Lightweight Four-Wheel Spinner is what we would recommend to the type of individuals that don't really like to travel light but also do not fancy taking with them every piece of clothing or an item of questionable use and significance. The piece of luggage features a telescopic trolley handle and four 360-degree wheels, so carrying it around won't prove to be much of a challenge whatsoever regardless of the distance and the type of floor you're dealing with. Also, the trolley handle features a tube made of aluminium, so it will easily be able to survive the rough and tumble of the road. The frame is relatively soft. 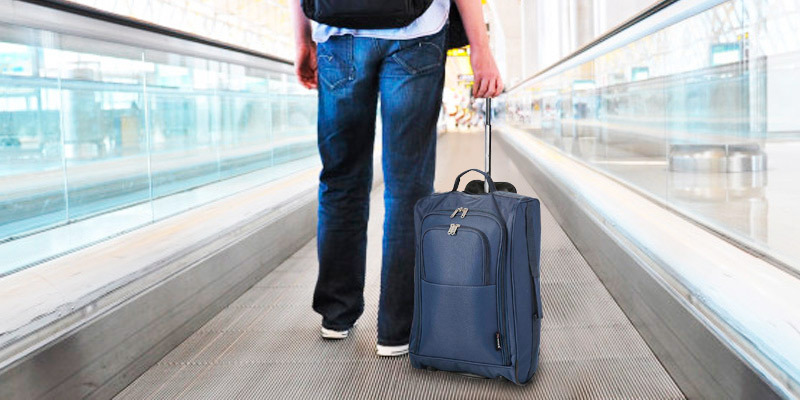 Skylite Luggage will prove to be a great fit for just about any person who is looking for a reliable travel assistant. It doesn't offer anything out of the ordinary but all of the model's specs are made according to the international flight standards and its characteristics are nothing to scoff at. 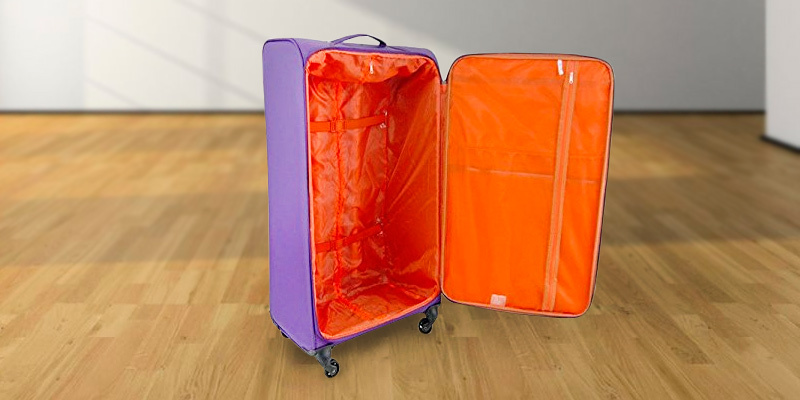 Despite featuring 77 x 47 x 32 centimetres in overall dimensions, this suitcase offers 88 litres of volume, meaning that you'll easily be able to pack all of your stuff inside the relatively compact suitcase. What is more, the product actually weighs only 2.2 kilograms, meaning that it is also one of the lightest options out there. Some may find the zipper sliders a bit small. 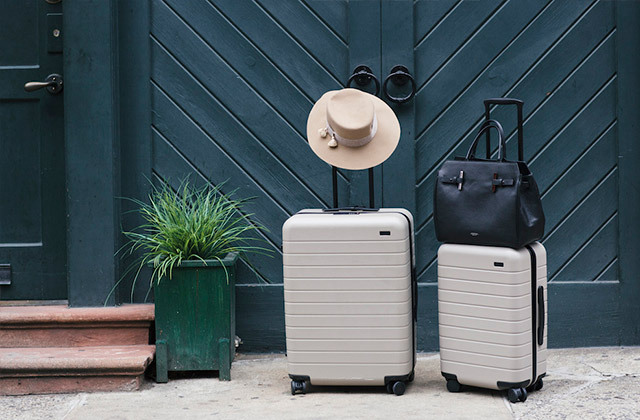 If you don't feel like purchasing a massive suitcase but you're also the kind of person who doesn't necessarily prefer to pack light, what we have here is arguably the best lightweight luggage for you. 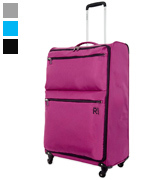 The company behind IT Luggage advertises their product as the world's lightest four-wheel spinner suitcase. And that may not be entirely true given that it weighs around 2.4 kilograms, which isn't really that different compared to the majority of lightweight hand luggage. Nevertheless, what we have here is still an outstanding travel assistant. 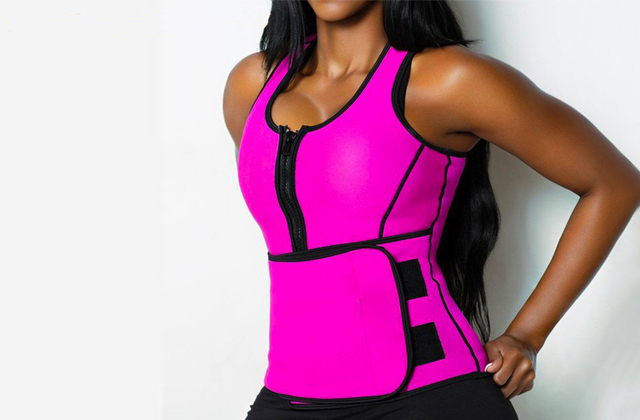 One of the best parts about this product is its frame made of ultra-strong two-tone fabric. 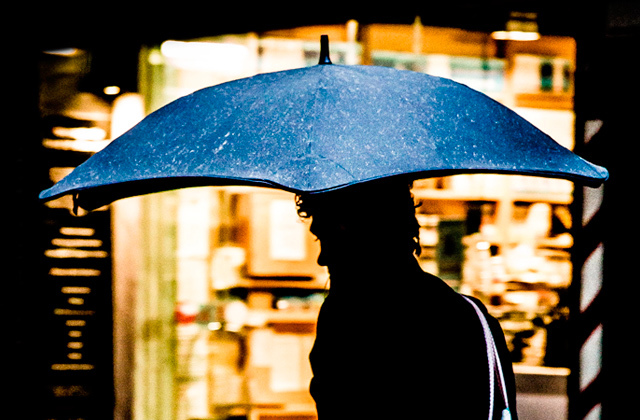 Simply put, it offers protection and longevity properties similar to PVC without burdening you with a hard outer shell. With just about 74 x 44 x 25 centimetres in overall dimensions, the model features precisely 71 litres of volume. That means that the relatively compact product offers a surprisingly large amount of space. 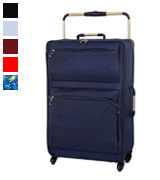 We would also like to mention the model's smooth and silent wheels that will allow you to carry the suitcase around with effortless ease and without the usual scratching accompaniment. Other than that, this small suitcase with wheels doesn't offer anything out of the ordinary that you wouldn't expect out of quality luggage. 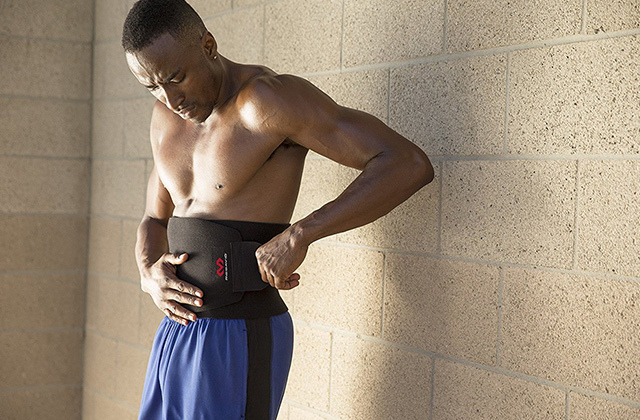 Two packing straps are there to help you keep your stuff in place. There are also a couple of mesh pockets inside and 2 large zipped pockets on the outside. Naturally, the top and side carry handles and a telescopic trolley handle are there as well. To sum it up, we would recommend the model in question to the kind of customers who prefer a softer frame and an outer shell that can still carry its own weight and offer years of faithful service. You'll also be able to choose from any of the 6 available colours. 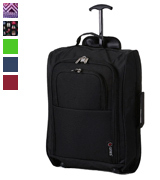 There really isn't that much wiggle room in terms of innovation in a field as seemingly simple as luggage. 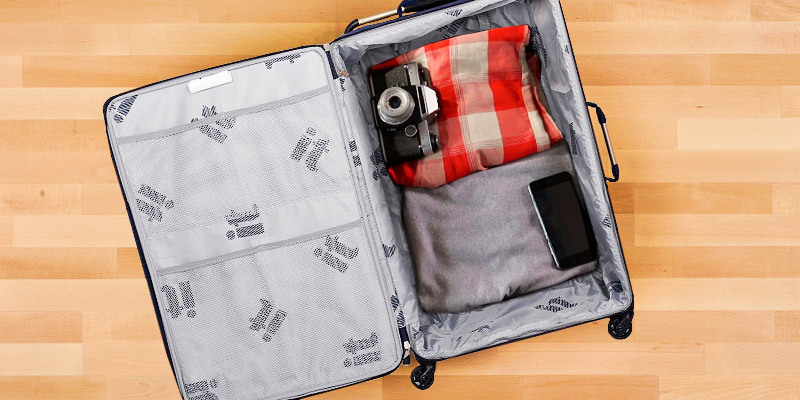 But that doesn't mean that there isn't any room for improvement or that you can't use a more creative approach when designing a luggage suitcase. And if you'd like a good example of that, you won't have to look any further than the 5 Cities TB023-830. 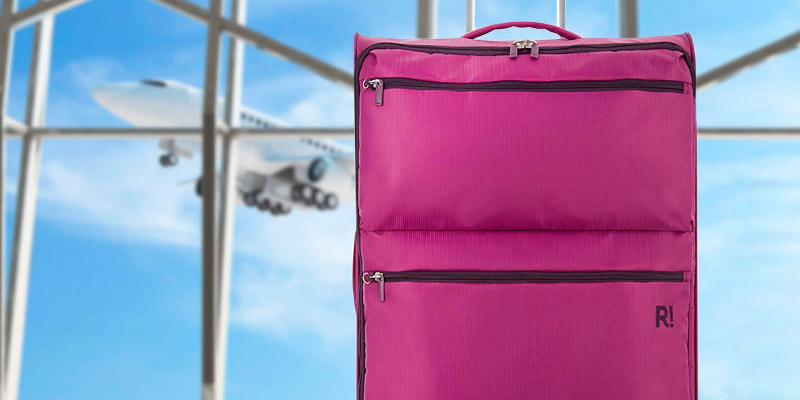 The thing that makes this lightweight cabin luggage so interesting is that the manufacturer decided to forego the usual hard shell coating made of ABS plastic and instead incorporated the use of PolyVinyl Chloride. 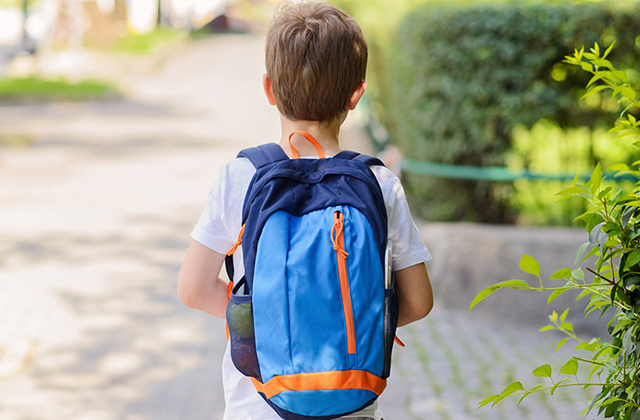 Though that does mean that the trolley bag will be much less sturdy and durable compared to the models that utilise ABS, you also receive all of the advantages of PVC such as abrasion resistance and lightness. Speaking of the latter, it is thanks exactly to PVC that the model is capable of offering up to 42 litres of volume, all while weighing in at less than one and a half kilograms. 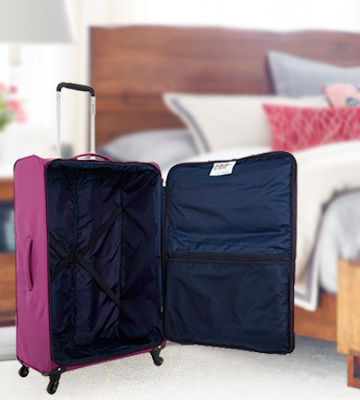 Aside from this undoubtedly useful aspect, you will receive all of the usual benefits of a lightweight suitcase, like a telescopic trolley handle and a couple of sturdy wheels with protective ball skids at the base. And since this is one of the lightest models out there, you will definitely be able to appreciate one carry handle on the side and one tug handle on the top. All in all, if you'd like to have an option that combines the advantages of a proper luggage case with those of a bag, this small suitcase with wheels from 5 Cities is exactly the kind of model you should strongly consider. The Aerolite Medium 26" Super Lightweight Four-Wheel Spinner is what we would recommend to the type of individuals who don't really like to travel light but also do not fancy taking with them every piece of clothing or an item of questionable use and significance. 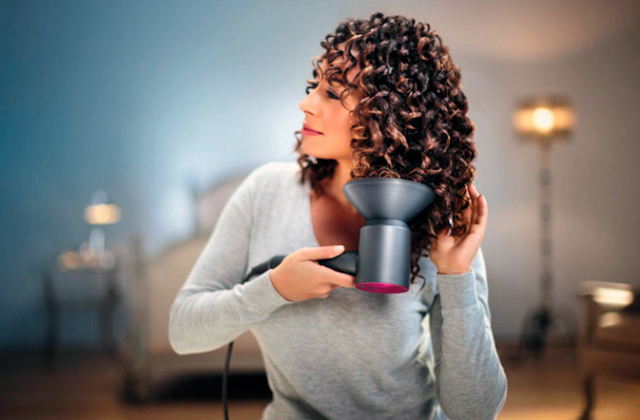 But, before we explain what exactly makes this product suitable for these people, we would first like to point out the model's outstanding security measures. 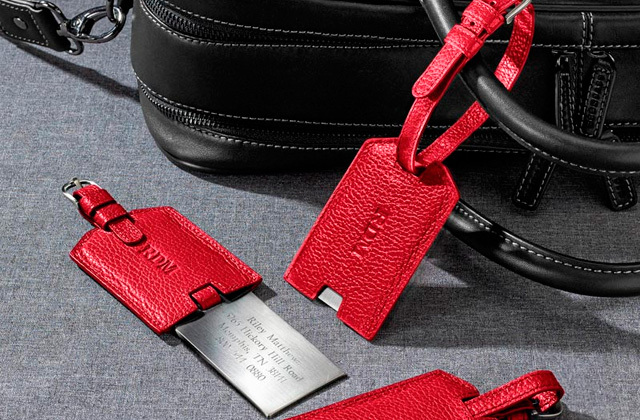 For starters, the particular lightweight luggage comes equipped with a 3-digit barrel padlock, meaning that no sketchy individual will be able to easily access your personal belongings. However, if you lose the case, there's a decent chance that some good Samaritan will bring it back to you with the help of an ID label located on the back of the frame. Now, going back to the model's application, we would like to point you in the direction of its 72 x 42 x 26 centimetres of overall dimensions and 68 litres of volume. With these kinds of specs, the model lands right in the middle of the size and the volume spectrum, making it a pretty versatile choice all things considered. 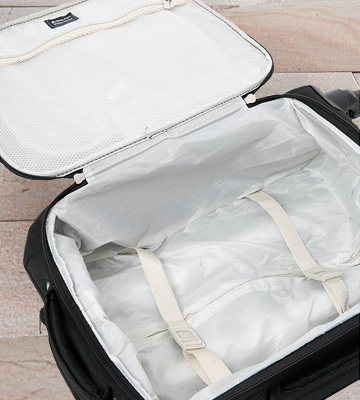 The rip-resistant 600 Jacquard polyester material makes the lightweight cabin luggage particularly durable. A couple of protective studs on the sides further improve the model's longevity properties. Finally, the suitcase doesn't look too bad either, with black and grey stripes giving it a subtle but distinct appearance. Skylite Luggage is the kind of product that would really fit just about any customer who doesn't have particular preferences and is simply looking for a reliable travel assistant. Every part of it is made according to the industry standards and every specification and characteristic was tailored to satisfy the mass audience. Of course, it all starts with the product's size and weight. In terms of the former, the model adds up to about 75 x 45 x 25 centimetres in overall dimensions. 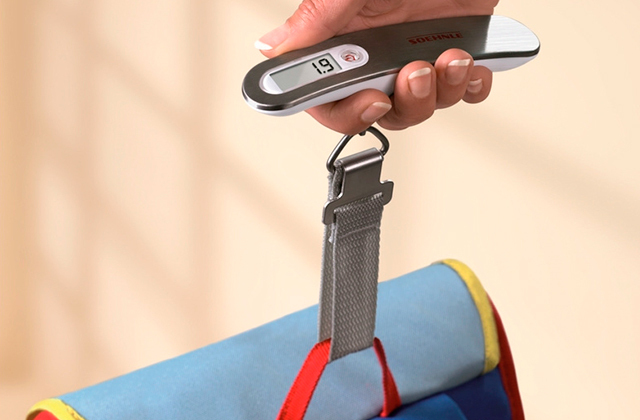 As for the weight, 2.4 kilograms will allow you to carry the suitcase around with you without overstraining your hands. 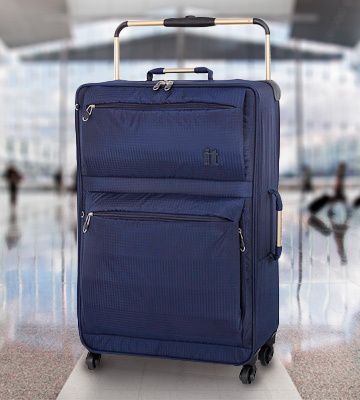 Speaking of carrying, not dissimilar to other travel suitcases, the model comes equipped with a telescopic trolley handle and four 360-degree wheels, so carrying it around won't prove to be much of a challenge whatsoever regardless of the distance and the type of floor you're dealing with. Also, the trolley handle features a tube made of aluminium, so it will easily be able to survive the rough and tumble of the road. That and the 600D Denier Ripstop Jacquard fabric make the lightweight luggage in question particularly durable. The exterior zipped pockets are perfect for stashing some of the less expensive items or the ones that you would like to have immediate access to. While the interior pocket is especially suitable for documents and other important belongings. All things considered, Skylite Luggage will prove to be a great fit for just about any person who is looking for a reliable travel assistant. It doesn't offer anything out of the ordinary but all of the model's specs are made according to the international flight standards and its characteristics are nothing to scoff at either. Revelation Suitcase Weightless D4 will prove to be the best lightweight suitcase for people who like to always bring as many clothes and personal items with them as possible regardless of their travel destination. Despite the fact that it does not differ that much in size compared to your standard suitcase, with just about 77 x 47 x 32 centimetres in overall dimensions, the model offers 88 litres of volume, meaning that you'll easily be able to pack all of your stuff inside the relatively compact case. What is more, the product actually weighs only 2.2 kilograms, meaning that it is also one of the lightest options out there. Aside from the model's size and weight, we would also like to point out that this is a great lightweight luggage as far as the question of safety and security of your belongings is concerned. 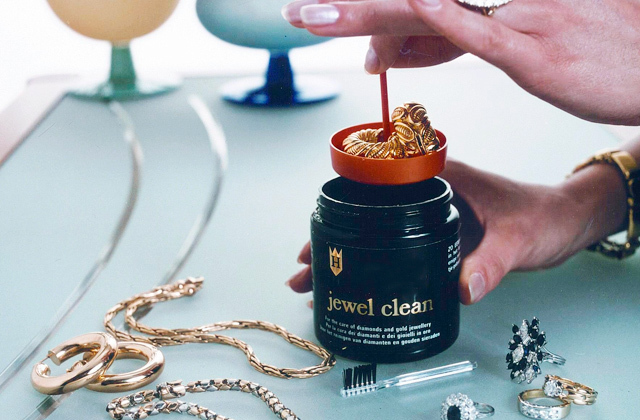 It comes with a lock, so you won't have to worry about strangers sifting through your stuff. That said, if you do manage to lose the suitcase, there's an internal ID label located in a rubberised holder that will help some of the more kind-hearted individuals to find you and bring you your case back. 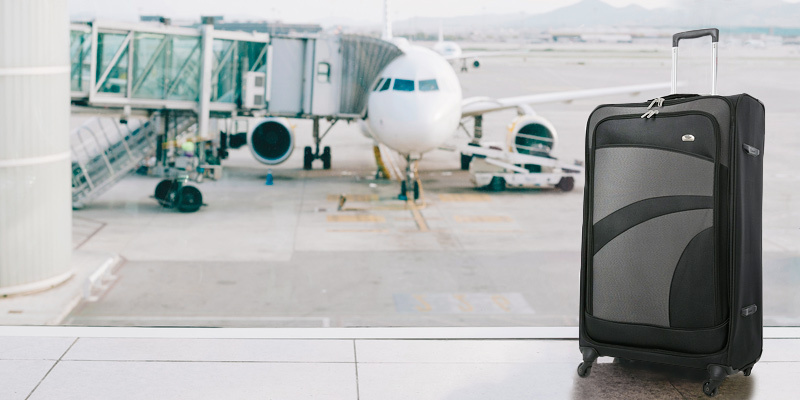 With that out of the way, the model in question is an otherwise regular suitcase that includes a lightweight trolley system, four 360 degree rotating wheels, internal mesh pocket, packing straps, exterior zipped pocket and all of your standard goodies. So, if you don't feel like purchasing a massive suitcase but you're also the kind of person who doesn't necessarily prefer to pack light, what we have here is arguably the best lightweight luggage for you. What Is the Best Lighweight Luggage? With the tendency of airline companies to limit luggage weight more and more, lightweight suitcases become a godsend for those who often overpack. For this handy guide, we have selected only the best spinners and rollaboards that are extremely sturdy, ultra light, and roomy. The manufacturers have done their best to reinvent wheels and handles to create super light bags without making them flimsy or wobbly. All of them are stuffed with some extras like manoeuvrable 360-degree spinners, telescopic handles adjustable in height, “expanders” for added packing capacity, and combination locks for extra security. Some of the cases are made of hard shell materials, while others have reinforced sides to endure harsh airport conditions. So, if you don’t want to end up with paying an extra fee for your overweight baggage, keep reading our review of the best lightweight suitcases and make your choice. 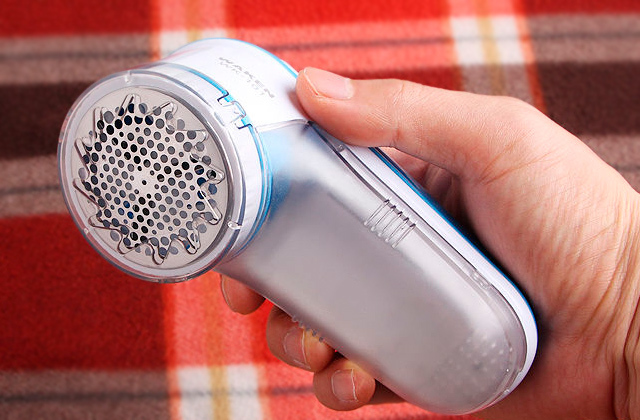 Especially for light travellers who care about their style, the market offers travel beauty tools of mini size like hair dryers and curling irons. 1. Antonio Centeno 11 Luggage Buying Tips, RMRS. 2. Alex Suitcase 101: How to Choose the Right Travel Luggage, TravelFashionGirl. 3. Rebecca Ciaramidaro Suitcase sorted: Luggage buying guide, Choice. February 5, 2018. 4. 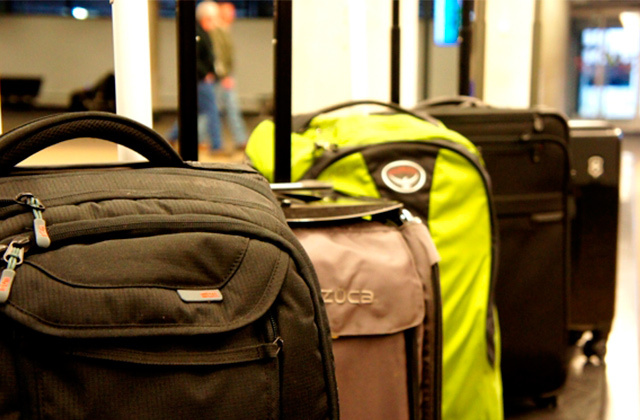 Emma Yardley 5 Must-Have Features to Look for When Buying a Suitcase, CBC. December 7, 2015.